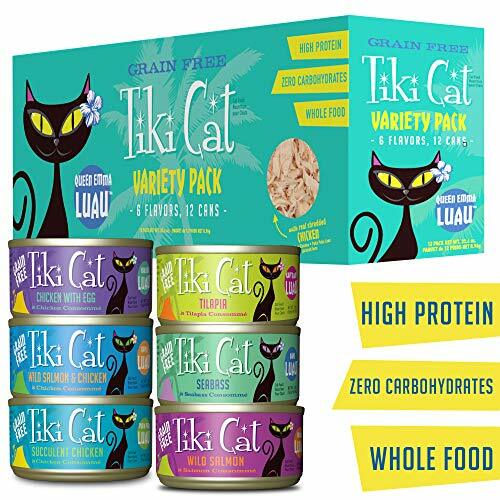 While it may seem strange to want go with a low protein cat food diet, this is what some cats require to maintain a healthy and happy lifestyle. These cats are generally those diagnosed with either Acute Renal Failure, or Chronic Renal Failure, put simply, kidney deterioration or failure. The basic science behind it is that all mammals have levels of calcium and phosphorus in the body, and when our kidneys are functioning properly, the levels of these minerals are kept in check. However, if the kidneys aren’t working properly there will be excess amounts of phosphorus in the blood, which then decreases the amount of calcium in the body. This can lead to bone disease. And that’s where the low protein part comes in; generally speaking protein contains high amounts of phosphorus. This is a tricky situation for any cat owner. You don’t want to deprive them of the substance they crave the most (i.e. protein), but at the same time you don’t want it to make them ill. Somewhat of a catch-22 situation. Nevertheless, there are some excellent options available for cats with ARF or CRF. There are cat foods that consist of low protein (and therefore low phosphorus), but are still very nutritional for your cat. As you will see with our top picks, it’s often the quality of the protein and not the quantity that determines the phosphorus content. Now let’s take a look at our recommendations! The first on our list is one you’re sure to love. This is an overwhelmingly popular product from the Hi-Tor Company, loved by experts and cats alike! 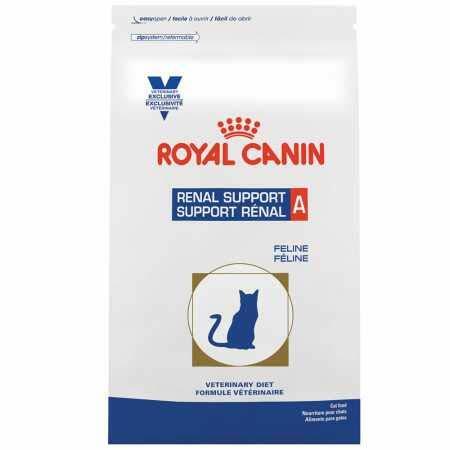 This product is specifically tailored to aid cats with renal disease, and therefore is perfect for use in ARF or CRF treatment programs. The great taste also means transitioning your cat to this food should be relatively easy and stress free. It’s specifically formulated for cats requiring a low protein, restricted phosphorus diet. It’s very palatable which ensures adequate consumption and caloric intake. Around 8% protein, much lower than in most cat foods. Even picky eaters enjoy it. 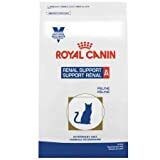 This very popular product doesn’t directly target renal failure in cats, but provides a very healthy and fulfilling option. This is because of the high palatability of the food, the grain free nature, the low phosphorus levels and the very high quality of the meat used. Vets recommend it to be used in the treatment programs for CRF, UTI and IBS. GRAIN FREE NUTRITION - Cats are carnivores, so give your cat the meat and seafood she craves with each can of grain-free cat food. 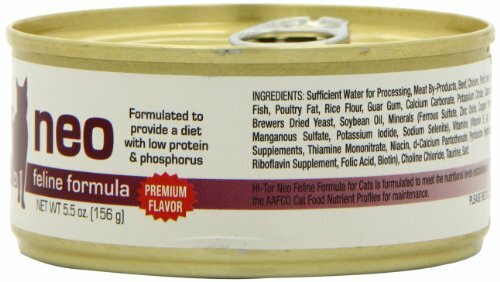 HIGH MOISTURE CANNED FOOD - Count on the high moisture content of each can of Luau to give your cat the supplemental water she needs. 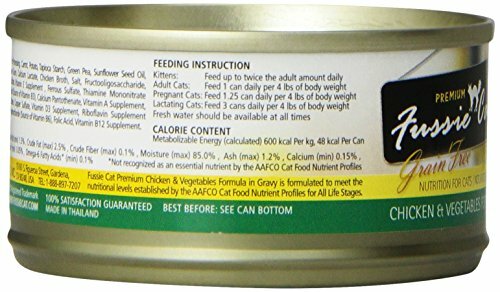 NUTRIENT RICH CAT FOOD - Real chicken is the first ingredient, giving your cat the nutrition she needs and the taste she loves. 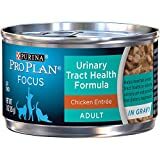 This product doesn’t directly target ARF and CRF, but is still an excellent choice for cats with these kidney problems because of the grain-free nature and the low amounts of phosphorus. Grain-free cat food is generally more expensive but much healthier for your cat. The main goal with treating these kidney conditions has two parts. Number 1 is to make sure there isn’t a phosphorus build-up which could lead to depleting calcium levels. Number 2 is simply to make sure you’re not overworking your cat’s kidneys, and that is exactly where grain-free excels. It supports urinary tract health with low amounts of ash, magnesium, phosphorus, and lowers urian pH. No seafood, all white meat chicken. This is important because seafood often has even higher phosphorus levels than many meat-proteins. Many fussy cats love it. 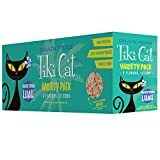 This cat food we would argue is the one that most targets the special diet for renal failure in cats, and so may be the best one for your cat. The reason then, that it’s only at number 4 is because it’s not as easy to get as some of the others and a fair few cats find it unappetising. Having said that, you can’t really argue with the quality of product that Royal Canin produce, so if you can get it and your cat will eat it, congratulations! Around 12.0% protein, and therefore low amounts of phosphorus. 1.5% ash is much lower than in many ‘grain’ cat foods and means your cat isn’t overworking its precious kidneys. A very popular product with countless happy customers. Chronic Renal Failure, and Acute Renal Failure are two conditions that are deeply upsetting for any owner to find out their cat is afflicted with. But your cat can achieve a healthy, normal kidney function if you follow your vet’s advice, and start using low protein, low phosphorus cat food. By choosing one of our top picks you should start to see your cat have more energy, find a healthy weight, and all of the other problems fade into memory!